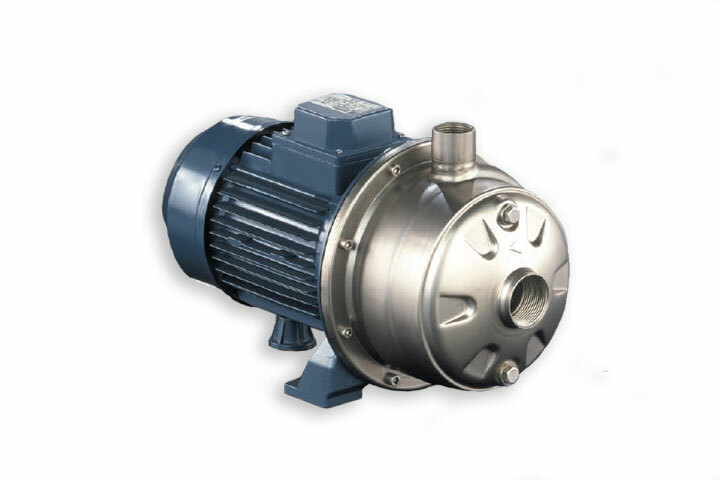 2CDU Stainless Steel Two-Stage End Suction Centrifugal Pump - BBC Pump and Equipment Company, Inc.
Model 2CDU two stage, end suction pumps are constructed of bulge formed stainless steel and designed for corrosion resistance, dependable performance and high-efficiency, continuous duty. Model 2CDU is NSF/ANSI 61 Annex G listed and utilizes a standard NEMA motor. Models 2CDXU, 2CDU are suitable for commercial and industrial pressure boosting and general water applications including water supply, water treatment, irrigation and in air conditioning systems.